Atlético Madrid host Real Betis in La Liga on Sunday afternoon, as Atlético look to make it four wins in five games in all competitions. ​Atlético Madrid come into the the clash off the back off a 3-1 victory over Club Brugge in the Champions League. Prior to the draw with close neighbours Real, Los Colchoneros had recorded back to back wins in La Liga against Getafe and SD Huesca respectively, and appear to be finally finding some form. Their Sunday opponents Real Betis have brightly started the season and have the exact same record as Atleti. They come into the game off the back of a 1-0 victory over Leganes. This weekend's game will be a much tougher task, however they'll be hoping to cause a huge upset against one of the favourites to win the league. Here's everything you need to know ahead of the clash. As challengers for the title Atletico have struggled at the start to the new season. Having failed to win three of their opening five games to start the season but an upturn in form has seen them close the gap to two points on their rivals Barcelona and Real Madrid. As for their opponents, Betis have emulated the start to the season that Madrid have had. Three wins and two draws in their past five La Liga matches has put them in fifth place, not only this but a solid start to their Europa League campaign has also helped with confidence ahead of their visit to Madrid. Thomas Lemar has impressed since his move to the Wanda Metropolitano during the summer and he will have to be on top form this week as he comes up against William Carvalho. The Portuguese defensive midfielder has played in four games this season in La Liga, impressing in all four. Lemar offers up a tough test for Carvalho to deal with with this battle likely to be one of the toughest on the field. 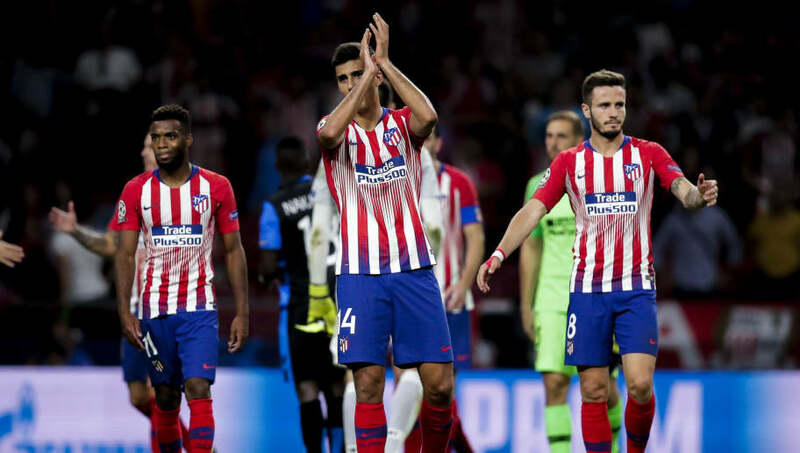 Atletico didn't pick up any fresh injuries during their 3-0 win over Club Brugge midweek, however are set to be without both Santiago Arias and Vitolo once again who continue to nurse a broken rib and a knee injury respectively. Central defender Stefan Savic is still a long way from returning to action after suffering a severe muscular contusion. As for Real Betis they have no fresh injury concerns ahead of the tough test against Atletico. Atletico Madrid (4-4-2): Oblak; Juanfran, Godin, Gimenez, Luis, Lemar, Koke, Saul, Correa, Griezmann, Costa. Real Betis (3-1-4-2): Joel, Sidnei, Garcia, Bartra, Carvalho, Barragan, Lo Celso, Inui, Tello, Sanabria, Leon-Limones. Even though Simeone's side got off to a slow start, they look to have found their groove in recent games after their a hard fought draw with Real and impressive win over Club Brugge in quick succession. They'll definitely carrying their winning momentum into Sunday afternoon's game where they'll be looking to move even closer to the league leaders.